Wm David Edgar was born and raised in southern Brazoria County , is a United States Marine Corps veteran, and a graduate of The University of Texas in Austin . Edgar has been an active Texas Real Estate Broker since 1976, belonging to both the National Association of Realtors, and the Texas Association of Realtors. David has previously served as the President and Vice-President for the Brazoria County Board of Realtors. 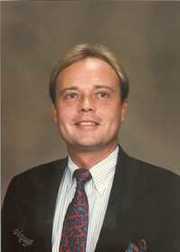 David Edgar specializes in both residential and commercial real estate sales, leasing, and development. Contact David for professional real estate service.